After five months, the road that connects Portofino to Genoa, collapsed due to a landslide, reopens. To celebrate the event a concert was organized in the small square of Portofino. 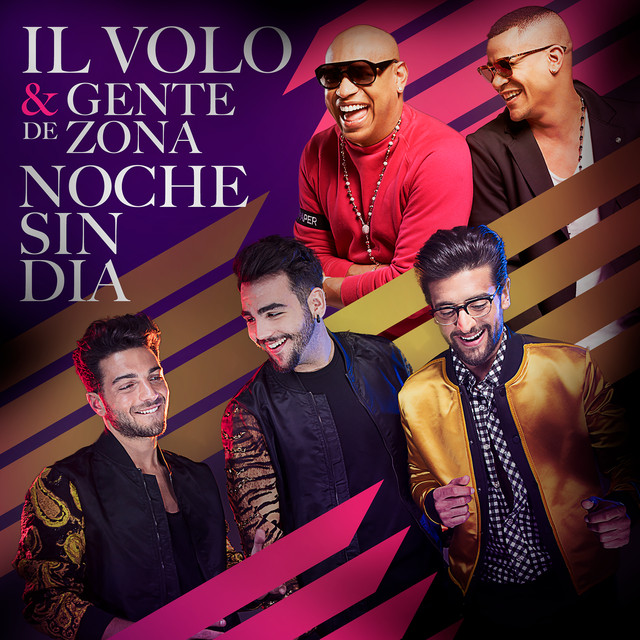 Among the various singers also IL VOLO. The day promises good weather. The boys sang three songs and brought the real “MUSICA CHE RESTA”. Look at these beautiful videos, posted by my friend Luce, who was present, thank you very much Luce Blu for sharing !! Then they also sang “GRANDE AMORE” and also “IL MONDO”. And here’s a little interview with English subtitles placed by Daniela Ci. Ignazio, Piero and Gianluca, you are always in the front row, when it comes to participating for a good purpose. Even this time you were there. Even the beautiful Portofino thanks. Thanks for this Daniela. The boys look and sound great! I’m glad to hear that the road to Portofino has reopened since we will be there in a few weeks. Too bad that our visit didn’t coincide with the boys. We would have loved to have seen them!! Mary, I immediately thought of you, when they were in Portofino, really a pity that they didn’t match the times. Remember to look good around, because Silvia Toffanin lives in Portofino, she interviewed the boys at Verissimo. Ciao: I was in Portofino last October. Loved the shops, gelato and the port area with all the boats. Too bad Il Volo wasn’t there. Hopefully they will be coming to the US very, very soon! Nancy, it would have been great to meet them. Had the road already collapsed when you were there? They will soon come to you too. Nice to see Mr MT with them on the boat, wondering if you would ever tell us more about him, his 10 years of huge success with Il Volo, but heard he is very private person. I will be in Rome June 26 at their concert, what a lifetime trill this is going to be!! Irene, you gave me a nice idea, I’ll write something more about MT’s life. In Rome in concert …… perfect. What a nice post, Daniela. I remember when we went to Portofino you suggested we take a boat to get there to see how pretty the area is by entering it from the sea. You were right! Such a picturesque, quaint village. 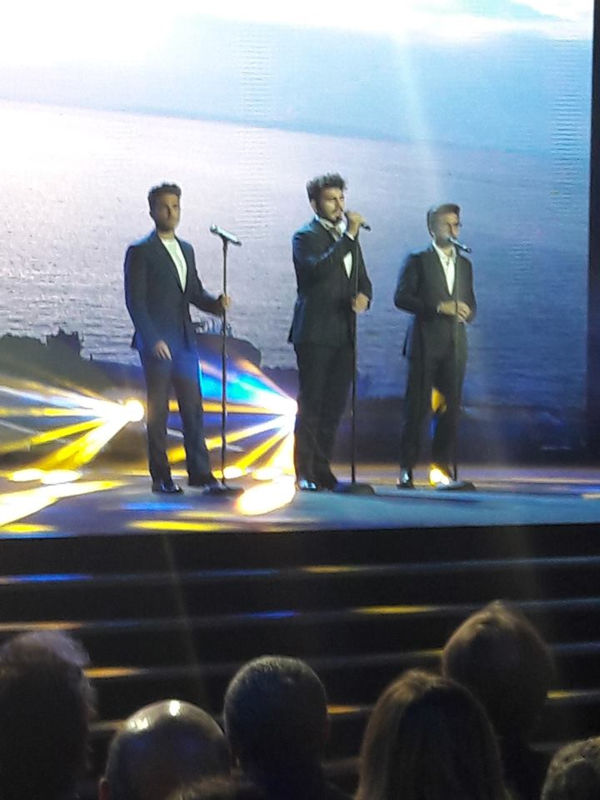 Il Volo looks and sounds very nice in that setting. Lucky people who were fortunate enough to be there just when they were! Jane, Portofino is very picturesque and seeing it from the sea is truly a sight. The road that collapsed is the only one that joins Portofino, in these months it could only be reached by sea. I remember your and Marie’s photos in Portofino, beautiful. Thanks to you and Luce for the videos, and translation. They are always ready to help out any of their countrymen in need. Jill, let’s say that Luce Blu was super lucky to be able to go to Portofino and see the boys. We all wanted to be there. She was really good at making these videos, which we can all admire. Jolanta, what more could you want ……. but of course …. to be there. Boschetto bouncing. They all three look so happy. videos. I never get too much.